Head over here to enter your email address and you’ll score the FREE No Bake Recipes – 21 Fuss-Free Easy Desserts eCookbook! This freebie offers 43 pages of easy, stress-free dessert recipes plus you’ll gain access to Recipe Lion’s Quick and Easy Recipes newsletter! A few of the recipes included in this FREE eBook are Creamy No Bake Peanut Butter Pie (pg. 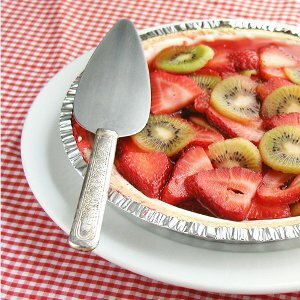 7), No Bake Strawberry Kool-Aid Pie (pg. 17), No Fuss Peanut Butter Balls (pg. 25), 5 Minute No Bake Cookies (pg. 40) and many more! Yum!